Feature: Installs easily ,direct replacement for the original car bulb Excellent performance,Low temperature, low power . Voltage: DC 12V. Flux: 500 Lumens. Cerrent: 0.1A .Size:1.33" x 0.39". Color: 3500K. 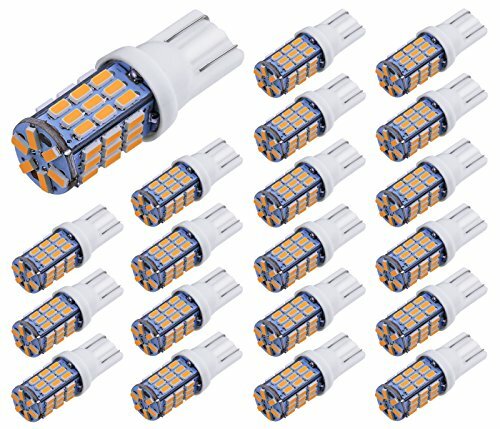 Each AucanLed bulb contains 42 high quality 3014 SMD chipsets. One YEAR Warranty! Any issue or problem please feel free to contact with us before write a product review or feedback,we provde best service for u at first time. If you have any questions about this product by AucanLed, contact us by completing and submitting the form below. If you are looking for a specif part number, please include it with your message.